Entrepreneur, Inventor and Registered Electrician, Tony Bull, has launched a new lighting safety device, called ‘Secura-Light’. Ideal for the trades and building industries, Secura-Light has been especially designed to eliminate the risk of fire during renovation and building projects. “The Secura-Light is convenient for the sub-trades to work around, allowing all painting to be completed simply and efficiently, whilst ensuring temporary lighting is safe and convenient,” says Tony. The Secura-Light is constructed from robust plastic, which has been tested for its resilience, as well as undergoing a number of rigorous trials to analyse its fire resistance capabilities and only the most superior materials have been used in its production. In future, there will be the added option of attaching a mini smoke alarm to detect any early signs of a potential hazard developing, which will prove a winning combination when used with the Secura-Light. “One of the worst things that can happen on a building or renovation project is discovering there has been an electrical fire,” says Tony, who has over 30 years experience in the electrical industry, “and several months ago, I received a phone call saying just that. The incident occurred because a builder had placed a temporary light in the ceiling against a truss. The light was left on and the home caught fire while the client slept. An absent minded action had the potential to destroy a home and take the lives of a young family. “If the Secura-Light provokes thoughts of the severe consequences of this chilling tale, then I have been successful in my design,” says Tony. 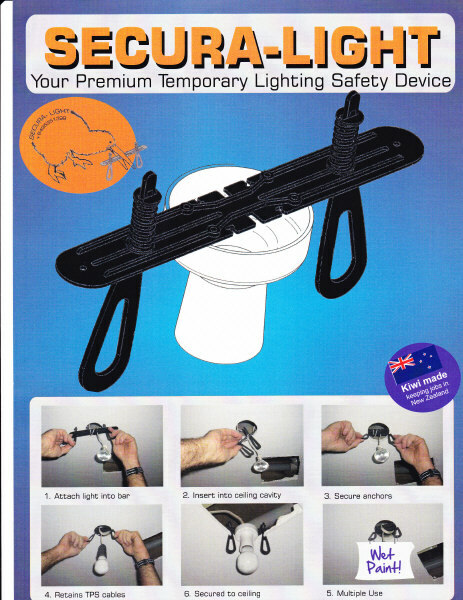 Made only in New Zealand, the Secura-Light is fully guaranteed. 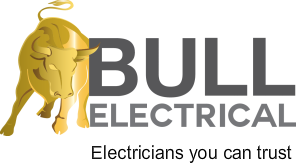 Secura-Light is the brain child of New Zealander, Tony Bull, who believes that with correct education, combined with promotion to the building and electrical industries, his product will soon be mandatory on every building site throughout the country.